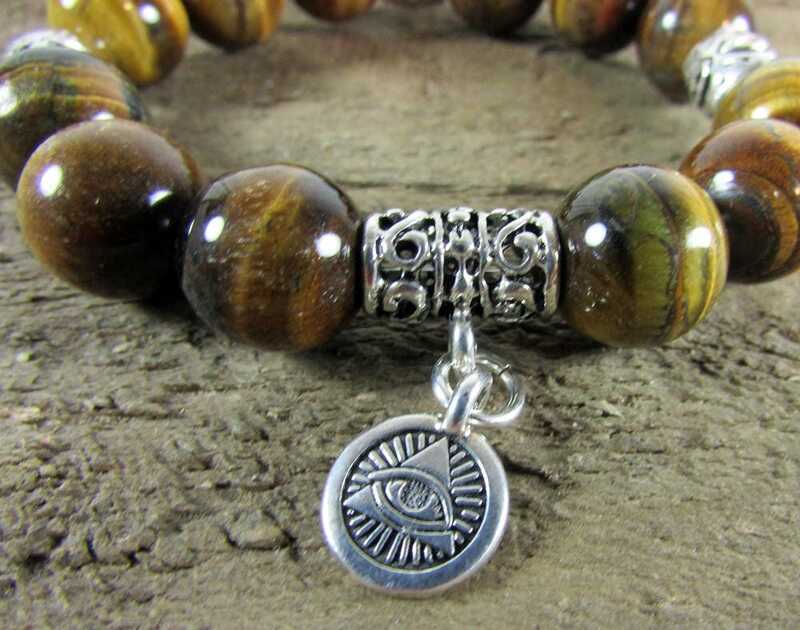 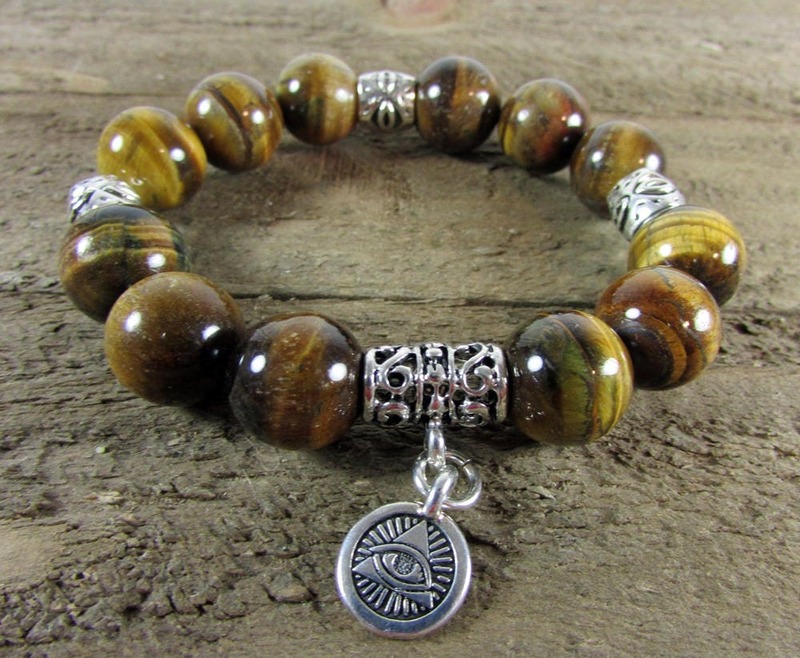 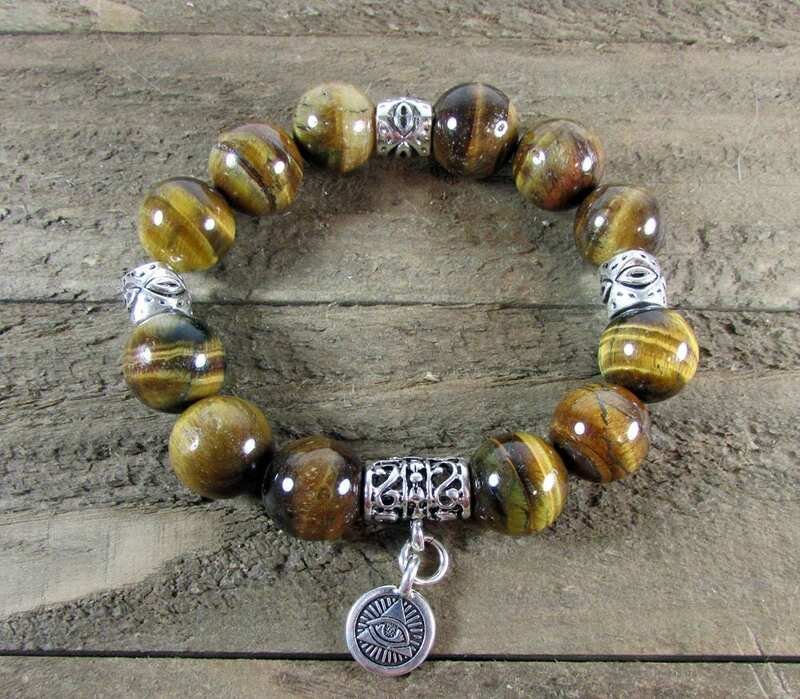 A beautiful tiger eye stretch bracelet made with 14mm smooth genuine tiger eye beads, antique silver spacers and a silver pewter all seeing eye charm. 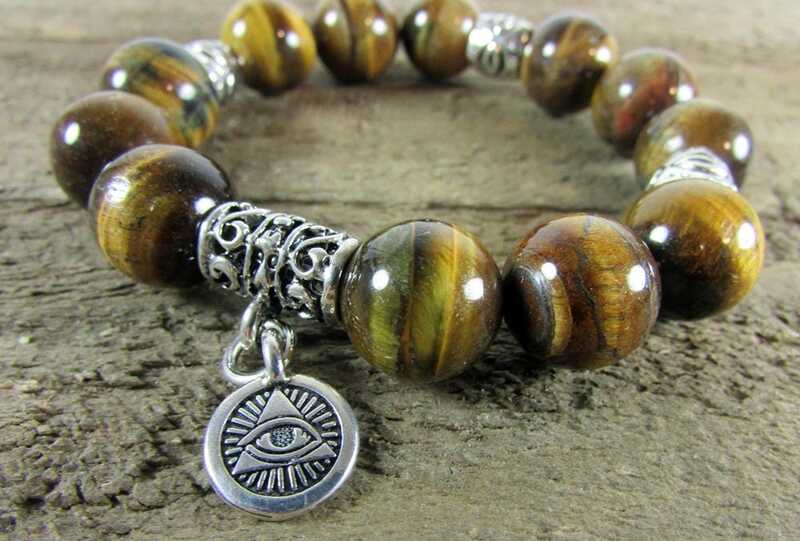 *Fits wrist from 6 to 7 inches. 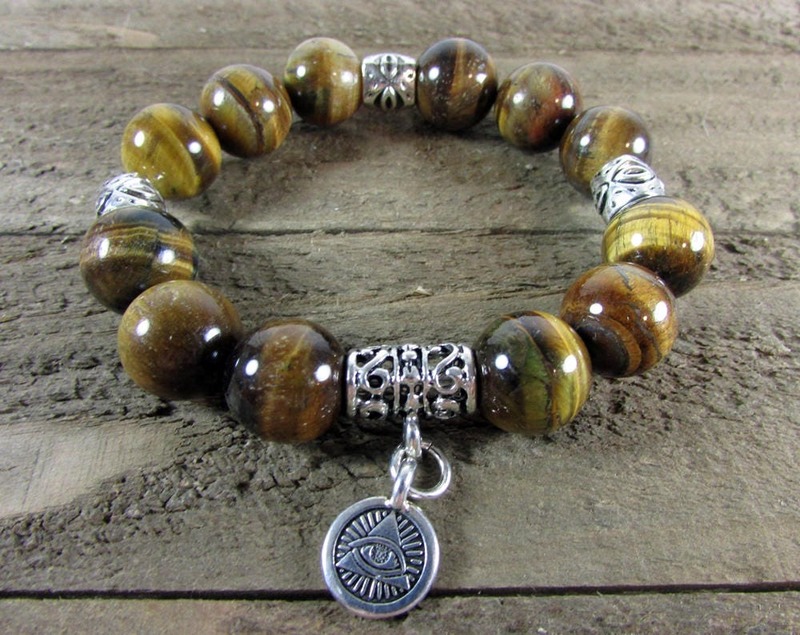 [U.S.] Shipping is within 1 - 3 days of purchase via USPS 1st Class Mail with delivery confirmation, although often sooner.